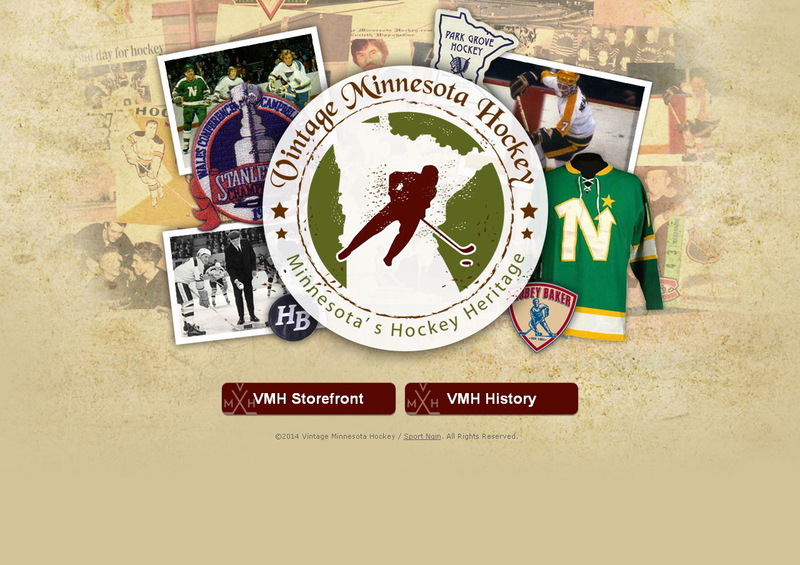 Vintage Minnesota Hockey started as a mere thought in year 2005, where upon we felt the need for a place under one roof to house Minnesota's deep-rooted Hockey Heritage into one all-encompassing website. 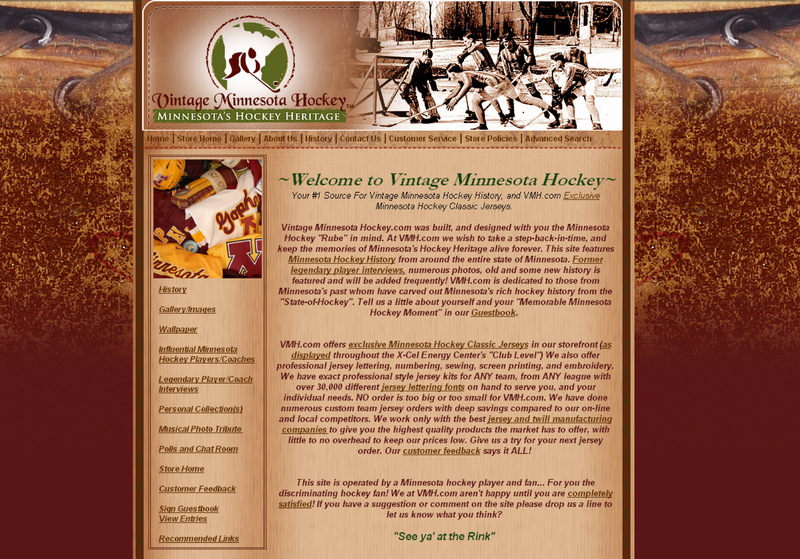 At the time when most websites were .html based, chat-rooms ruled the web, and Myspace was the prevelant social-media entity (pre-Blogging, Twitter and Facebook) we had the conceptual idea to start Vintage Minnesota Hockey. We ideally wanted the site to be fully operational without the assistance from payed banner ads, corporate sponsorships, and it had to have the look and feel of a Hall-of-Fame vintage website. The website was born in year 2006 - hosted then by Homestead - with an affiliated storefront to assist in the payments of our hosting fees, x3 owned domains, travel throughout the state to visit historical rinks, to interview 100's of legendary MN Hockey Icons, and to cover Hockey Day Minnesota/State Tournament yearly, etc. Fast forward to today, Vintage Minnesota Hockey has undergone massive changes since 2006 with our biggest (and smartest) move to Minnesota locally owned SportNGIN hosting services - with a Shopify seamlessly integrated storefront by NGIN. We additionally have undergone three logo changes throughout the years with the most recent coming from Eric Lichtenberg Design (shown below). The website is truly a labor of love for our family, and we take great personal pride in what we do. The 1000's of images we have shot, 100's of interviews we have conducted all yet need to be uploaded and typed. Stay tuned for new and exciting content to be added throughout the years, as we've always said: "It's nearly impossible to type the history of Minnesota Hockey overnight into one website". It may seem like an overworked cliche, but we haven't even started to scratch the surface as to how we envision the site to be months, and years from now with more content, and photos to be added! 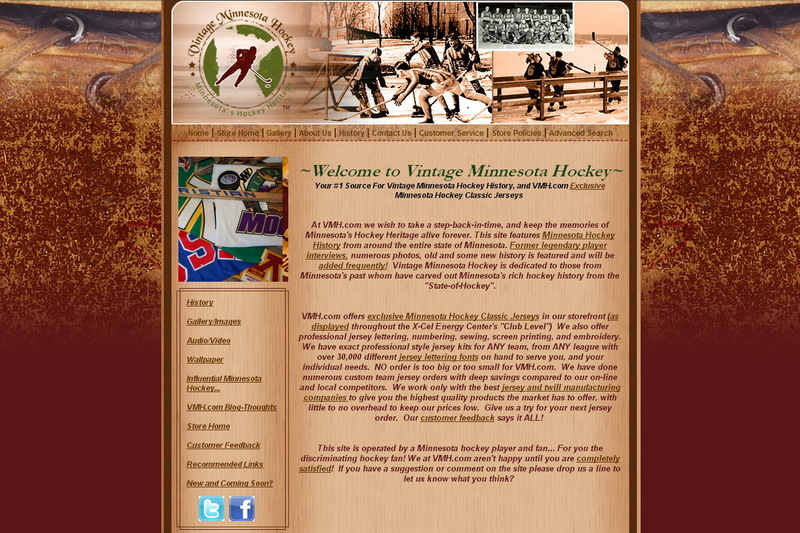 In 2013 we made the smartest decision with Vintage MN Hockey moving our platform to SportNGIN. With several months of help at both of NGIN's content migration & creative services design team, coupled with Eric Lichtenberg design website lay-out, the move was made complete. The websites entry splash page was created to give the user the option to enter either the storefront, or history pages only as we wanted to differentiate the two moving forward. In 2015, after looking at the older drab blob of a center skater logo as above our new logos were brought to life again by Eric Lichtenberg Design, and we feel it gives our site a more vintage feel. Two logos were incorporated with a single skater, and a double skater using the design elements shown from an older Cap Company exterior/older postage stamp border, and an old South St. Paul Kaposia Indians youth skater as a center focus (single skater logo), and the font from Minnesota's 1st pro team - St. Paul Athletic Club. An accompanying new alternate VMH shield logo was also subtly created shown on a few pages. Both logos also feature the prominent "M" from the historic Minneapolis Millers that was used by this history laden team - and the Minnesota Wild incorporated into their green script uniform.